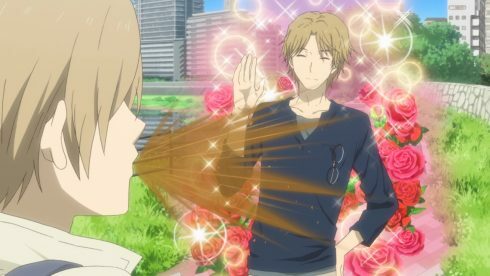 I’ve been curious how things would unfold between Natsume and Natori for a few weeks now. It is nice that we’ve finally gotten to the mini-arc that will be tackling the future of that friendship. You can honestly understand how both of them really are good people at heart. They’ve had different experiences, but they both care what happens to the other. Hiiragi probably has the right mindset and message for Natsume. Not telling Natori about the Book of Friends may simply worry him more than telling him the truth. At this point Natori already knows the book exists and is poking around for information about it. 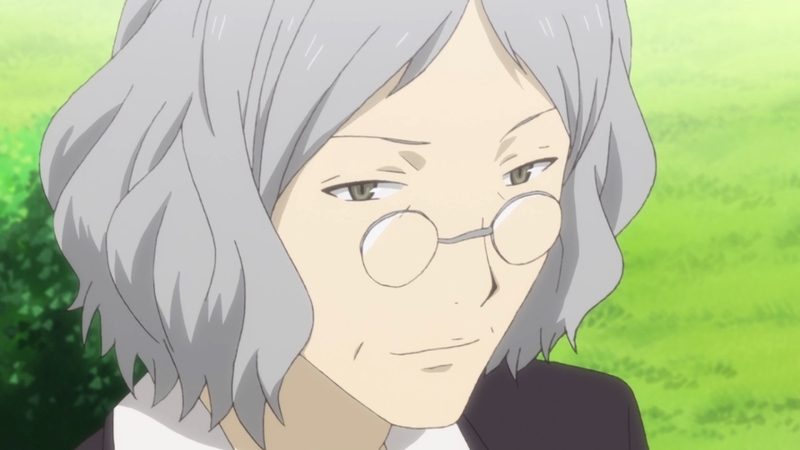 Instead of him getting a bad impression it may simply be for the best for Natsume to open up about it. While Natori can be difficult in some respects, I think he would be able to understand Natsume’s feelings. For Natsume that book really is more than simply a powerful object. It’s almost the only connection he has to Reiko. She’s probably the only relative that can relate to the life he’s lived, but she’s also gone. For Natsume the Book of Friends is a treasure and a responsibility. He can’t let someone else take possession of it and he has to be the one to return the names. 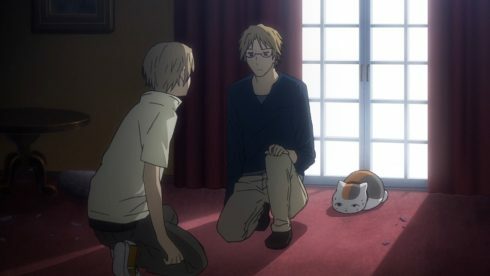 While that kind of object is considered forbidden, I still hope that Natori can understand the emotional weight it has for Natsume. 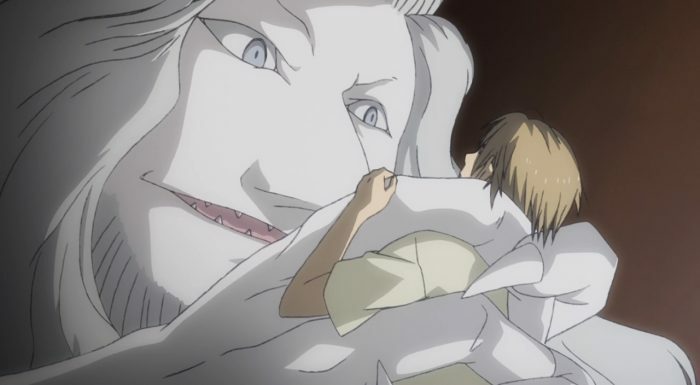 He wants to keep Natsume safe and yet this isn’t something that Natsume could let go of if asked. I hadn’t thought going into this that we might find a connection to Reiko. It is true that she had to have lived somewhere. 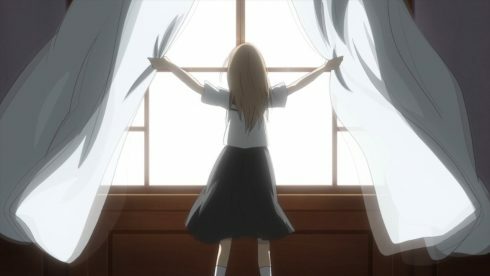 And it is also true that wherever Reiko lived must have more of her possessions or at least memories she made. While I don’t think this mansion will be that place, it is possible that Reiko did know the old guy who lived there. Being someone who was isolated from his family, it is possible that Reiko built a kind of friendship there. On the other hand…Reiko was someone who often pushed others away. It would be nice if the next episode could not only tackle the friendship of Natori and Natsume, but also give more answers about Reiko. 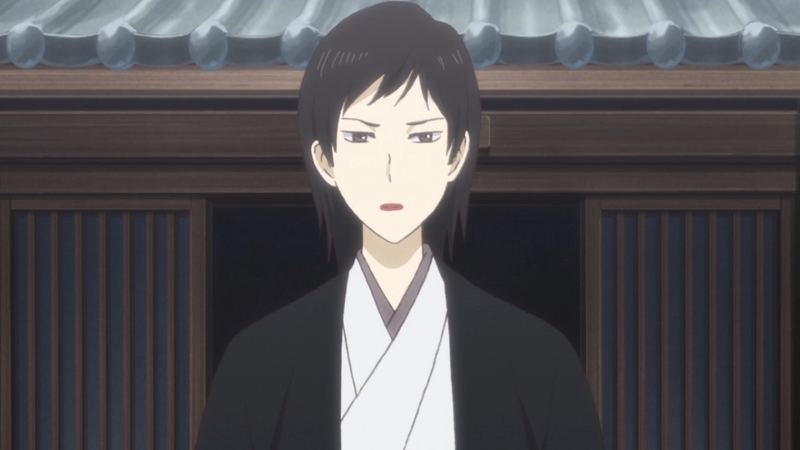 I can understand Natsume feeling uncomfortable with the stance of the granddaughter. It’s kind of sad how that relationship ended up. You can tell that the grandfather loved the girl from the fact that he planted that maple tree for her. I’m also sure he never intended to make her feel uncomfortable by talking about youkai. When you are interested in something of course you want to share that interest with others. It is also sad to see Beniko thinking that by getting rid of that mansion that she’ll feel better. There’s no escaping the regret she feels about avoiding her grandfather until it was too late to make amends. Maybe she can trick herself into thinking that she’ll feel better, but that isn’t likely to be the case. I’m glad though to see that Natsume has grown to the point that his past trauma’s no longer scare him. No doubt it isn’t a comfortable feeling whenever Nanase shows up. 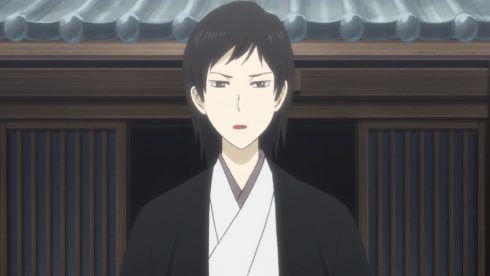 If there is anyone that has proven to Natsume how just being able to see youkai doesn’t mean understanding it is Nanase. They can both see youkai, but their beliefs about them are so polar opposite that there is no chance Natsume would ever fully trust her. I’m sure he’d be glad to keep his distance from her as much as Natori would like to keep them apart. Some differences in points of view you can’t easily bridge. In the end this was a really solid episode. 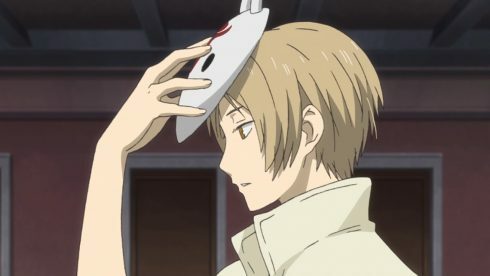 I’m looking forward to seeing what Natsume tells Natori and how that potentially changes things. This would be one of the first times that Natsume has told someone absolutely everything about Reiko and the Book of Friends. Really only Sensei really understands the full picture surrounding Natsume. Maybe it will simply stop at the level of letting Natori understand that the Book is precious to Natsume and it is something he needs to take care of. I’m also curious to see what ends up happening with the study. My expectation is that it is where he actually kept precious family objects along with his spells. Although I could see it being the case that he actually destroyed all his spells and talismans in order to avoid them falling into the wrong hands. No way to know for sure though until the episode actually airs. Here’s hoping at the very least Natsume and Natori continue to see eye to eye. I’d rather see that friendship get stronger not weaker.